Water conservation is a way of life in California especially since May when Gov. Jerry Brown signed legislation requiring water districts statewide to set permanent usage rules applying even in years without drought. Replacing lawn with low-water landscaping (xeriscape) based on drought-resistant plants. One of the first steps in redesigning a yard for sustainable use of water is to plan what kinds of hardscaping will be useful and attractive. The basic idea is to divide and conquer by breaking yards into “rooms” that aren’t based on turf. Additions might include: (1) Raised planting beds filled with drought-resistant perennials requiring little supplemental watering and surrounded by gravel paths; (2) a patio of large concrete pavers with stripes of soft, flat wooly thyme planted in-between; and (3) a dry creek bed flowing with smooth cobblestones and lined with shrubs that attract birds. If your yard already has a built-in sprinkler system, a handy brochure from the University of New Mexico explains how sprinkler heads sometimes can be retrofitted for drip emitters. It’s also possible to create a hybrid watering system in which part of the yard is irrigated by drip lines. But the University says the two systems need to be connected to different irrigation valves. The brochure also explains how to zone planting areas for different levels of watering. A two-inch layer of mulch surrounding plants helps retain soil moisture following watering or rain. 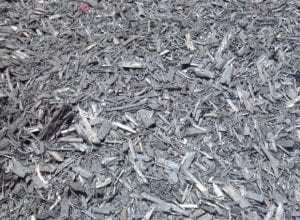 What mulch is best to use depends on the types of plants in a bed. Organic mulches — such as bark and wood chips — enrich soil as they break down. However, don’t spread them next to a tree trunk or around the base of drought-resistant perennials (such as local native species), because that can cause fungal decay. Penstemon, for example, needs gravel mulch. Xeriscape combines the Greek word xeros for “dry” with “landscape.” But just because a landscape is dry doesn’t mean that it can’t bloom or look refreshing. Also, xeriscape is a landscaping technique that adjusts planting choices based on local conditions. What’s right for gardens along the Southern California coast may not always work further inland or in canyon areas and the foothills. 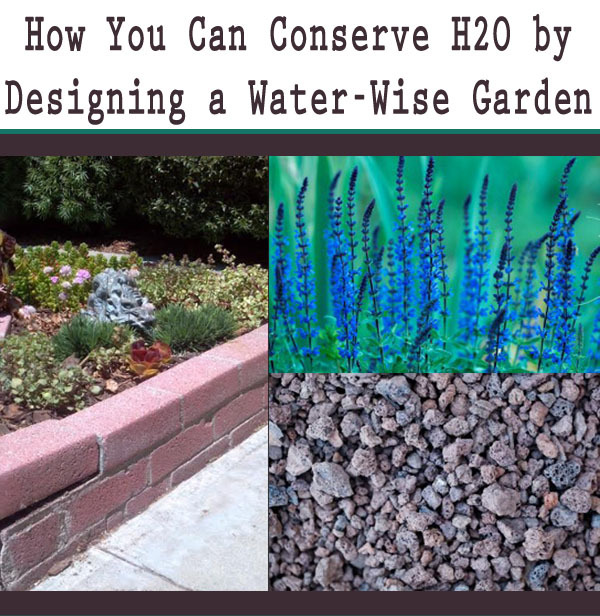 In general, xeriscaping is based on efficient use of water, and that begins with water-wise plant choices. Plants native to Southern California are among the best for xeriscape here. Due to our mediterranean-style, wet winter/dry summer climate, non-native plants also are excellent choices if they are from areas where growing conditions are similar (parts of Africa, Australia, and Chile as well as Mediterranean Basin countries, such as Greece). At our five Green Thumb Garden Centers, staff experts are available to assist you in identifying drought- and heat-tolerant plants that meet your preferences (color, size, texture) and the characteristics of your site (sun, shade, soil type). Please keep in mind that although plants mentioned in this article generally are available at all our stores, they may not be on hand in each store at the same time. Nevertheless, we’ll do our best to help you find what you need. Following are some customer favorites for xeriscaping. “CN” denotes a California native species whereas “NN” means nonnative. Finally, the Southern California Metropolitan Water District offers links to numerous regional, water-wise planting guides. If you see a plant that appeals to you, please contact us and we’ll be glad to check on availability. California’s new water laws likely will cause water agencies to renew programs offering rebates for replacing lawn with sustainable landscaping. These programs also often include discounts on water-conservation equipment, including rain barrels, drip watering kits, and watering timer controls. Here’s an example from San Marcos’ El Toro Water District and another from Santa Clarita Valley Water. So, check your local water department for rebates. Here’s one last, crucial thought to ensure the success of your project: Before removing sod, make sure you have a good plan for quick replacement, otherwise existing trees and shrubs will suffer. Also, after getting your new, low-water plants in the ground, remember that they need regular watering until their roots establish. We have lots of information to share, so come equipped with questions on your next Green Thumb visit.